According to the NJ Division of Consumer Affairs, “Senior citizens – individuals 60 and over – are targeted more frequently by financial fraud and scams than any other age group.” At A.J. 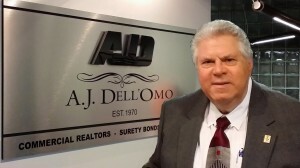 Dell’Omo, Inc., Realtors, we want to keep our seniors safe in their homes. Seniors are more vulnerable to financial scams due to the fact they may have acquired a “nest egg” of savings, they are less likely to be aware of such scams and they are less likely to report a scam. An Anti-Fraud Toolkit provides seniors with the necessary information to prevent being a victim of Elder Investment Fraud. The NJ Division of Consumer Affairs is a valuable resource for seniors so they can feel safe living independently in their homes. Learn about door to door, computer, telephone and other types of scams via their website.